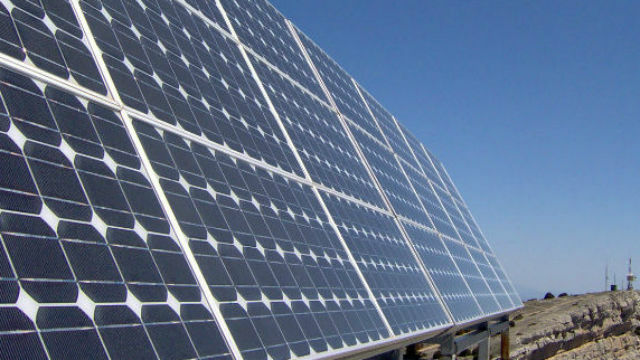 The Port of San Diego announced Tuesday that it secured more than $5 million in grant funding for the installation of a solar-powered microgrid at the Tenth Avenue Marine Terminal. The grid will include battery storage that will allow solar power to be used during nighttime hours. Improvements are intended to reduce greenhouse gas emissions, enable the use of backup power during emergencies and save the port an estimated $168,000 per year — 60 percent of current utility rates at the terminal. The microgrid, expected to cost $9.6 million, will be installed spring 2020. The California Energy Commission will provide $4,985,272 in grant funding for the project. That will be matched with $4,427,973 from the port and $201,963 from UC San Diego. The microgrid fits into a modernization plan intended to make the Tenth Avenue Marine Terminal more efficient and clean. One of the port’s two marine cargo terminals, the facility specializes in break-bulk cargo, such as military equipment and vehicles; refrigerated cargo; as well as dry bulk cargo, which includes construction supplies like cement.